Ride Around Tokyo AKA The Super Looper. 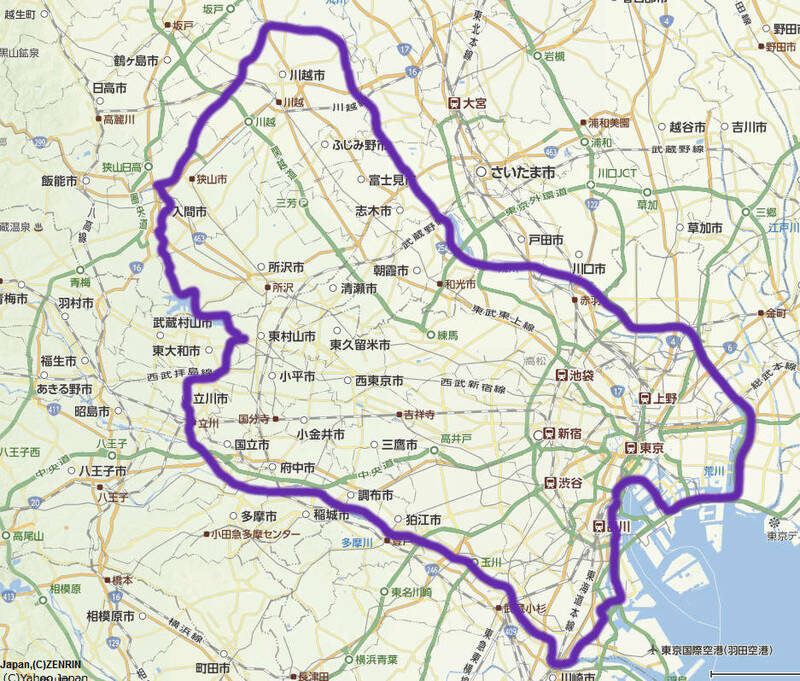 How to cover 150 kilometers, the Ara Kawa River, the Tama Gawa River, Tokyo Bay and Saitama suburban outback in one day. Century ride requires some extra kilometers mixed in between, and there are plenty of places to get them. 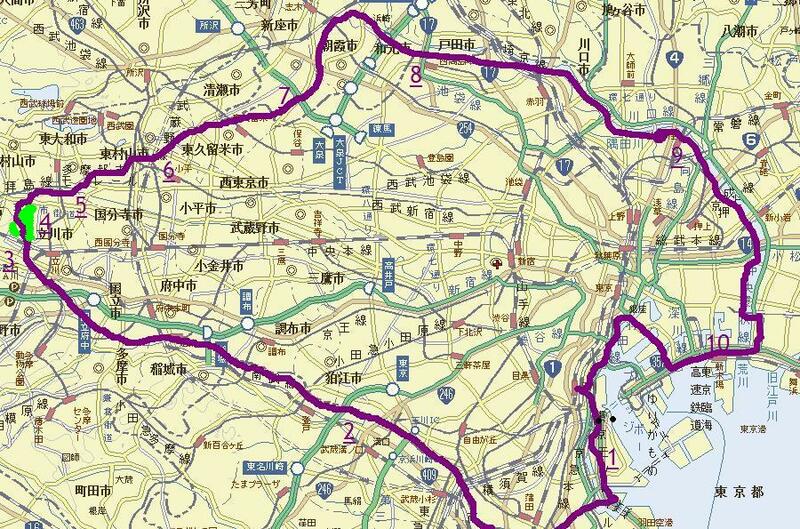 To Shinagawa (complete the loop). Introducing the new route (above) - 2016. Who's ready? Current course time record: 6 hours, held by Leo, Nov. 2010 on a pretty calm weekday.